This entry was posted on Tuesday, June 26th, 2007 at 9:57 pm	and is filed under Bookbinding, erinzam's Work, Tutorials and Tips. You can follow any responses to this entry through the RSS 2.0 feed. You can leave a response, or trackback from your own site. yes! when i moved into my grandmother’s house after she passed i found a jar full of matchbooks that she had collected. not wanting to just toss out her collection, i held on to it. 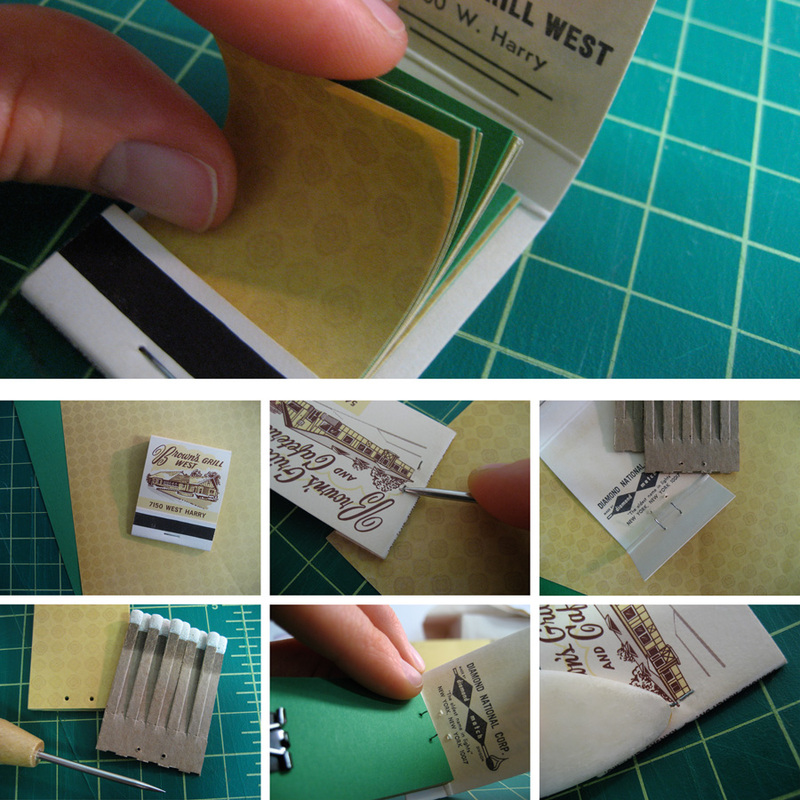 this is a perfect project to make use of her matchbooks! thanks!